There is nothing quite like a few perfectly placed hanging baskets and potted plants to add a big splash of color to the landscape of your house, garden, patio or porch. When used in combination with the lush “greens” of ornamental grasses, perennials, small trees and shrubs in typical landscape beds – they can add instant, vibrant color. Not only are they beautiful – they are also the secret to a low maintenance landscape – keeping the work of annual plants confined to simple baskets and pots, while all but eliminating weeding. We have found that combination to be a simple way to keep everything looking good without spending too much time in the yard. Although those big expensive baskets that you see in mid-May to early June look stunning with all of their blooms – many of those have been packed full of plants and grown for a few months. The problem is, that although they look great in the early Summer – in no time at all – their root system runs out of room to sustain the plants – so if you do purchase – look for smaller plants in baskets and pots that can grow into their space. One of the best (and by far the least expensive) option is to plant your own. Although you can purchase some great mixes – they can be expensive. We save a lot by making our own soil from a mix of our compost, sand, and perlite. No matter what you use – the key is to have a loose, lightweight soil that is full of nutrients to help feed your plants through the long summer months. Unlike plants in the garden or landscape – potted plants and hanging baskets have to be watered more frequently and given a little boost for nutrients now and then to keep them at their best. When it comes to watering – daily waterings are usually a must – don’t let your plants dry out too much – it can spell the end of them. For a little boost – we will usually hit our plants once every few weeks with a solution of compost tea for an all natural fertilizing option. Much more than that and you run the risk of creating too much root and foliage growth too quickly – which can lead to the plants becoming root-bound too early in the season. 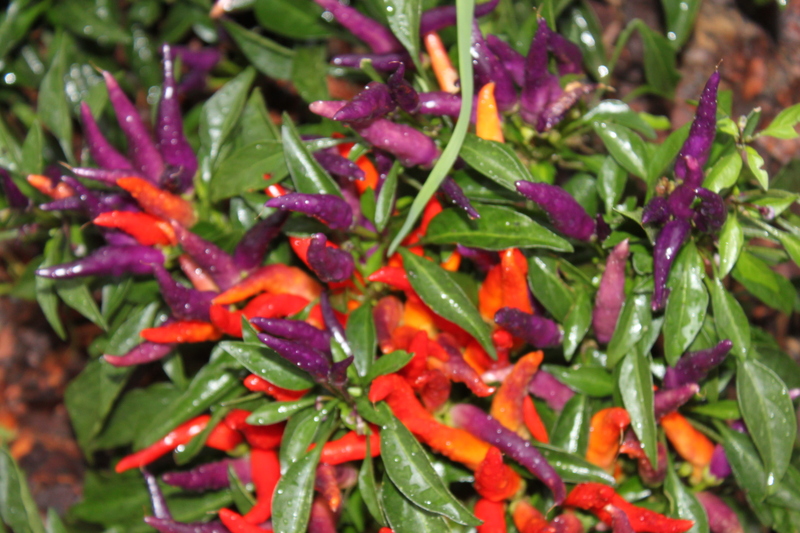 The Sangria Ornamental Pepper – A Perfect Alternative! Last but not least – think outside the box when it comes to planting – and don’t confine yourself to just the “store-bought stand-by annuals. 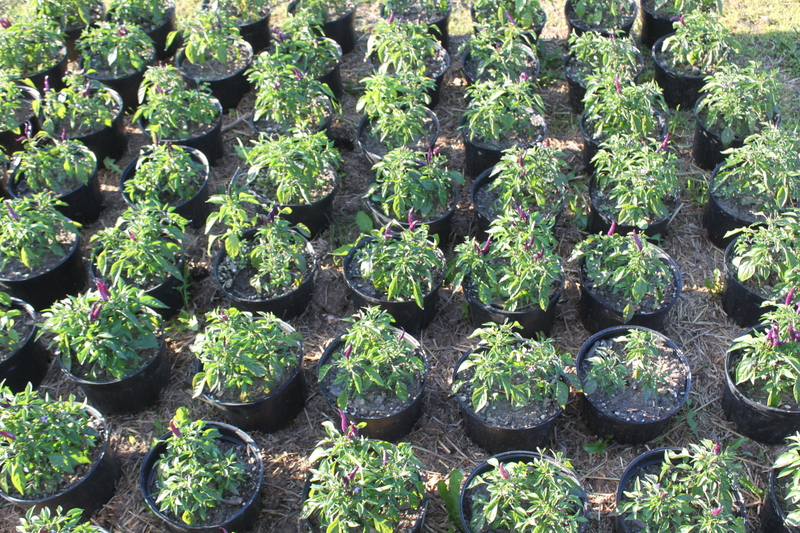 One of the solutions for us has also been to use unique and colorful pepper plants in many of the baskets at our farm – they have turned out to really be a hit. It doesn’t take visitors to the farm very long to begin asking about what kind of peppers are we growing in all of those baskets and pots around the farm. 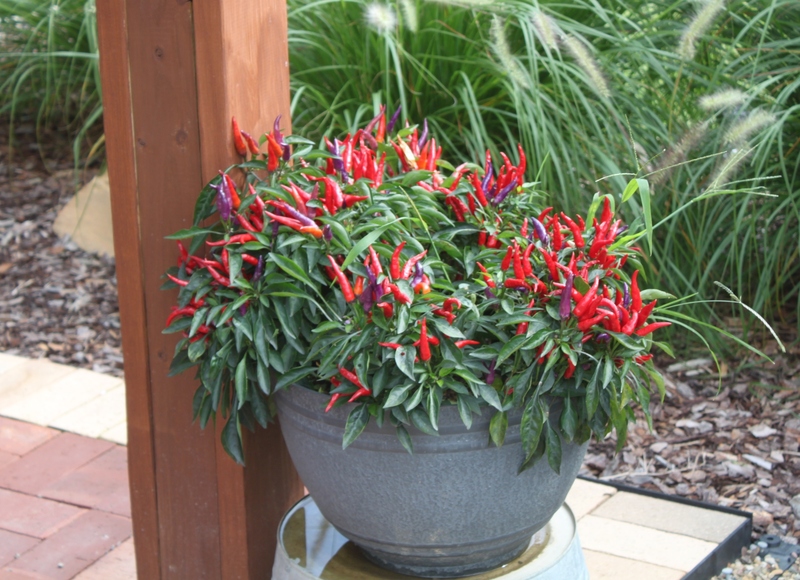 The Sangria ornamental pepper plant is by far our favorite to use – simply because the plants are so durable – so unique – and add tons of color with hundred of peppers hanging from their leaves. More importantly, they last the entire year! They have turned out to be the perfect hanging basket and potted plant. They begin in late spring with deep green foliage and tiny purple and white blooms. Then in early June through July they begin to have multiple “blooms” of deep purple peppers. 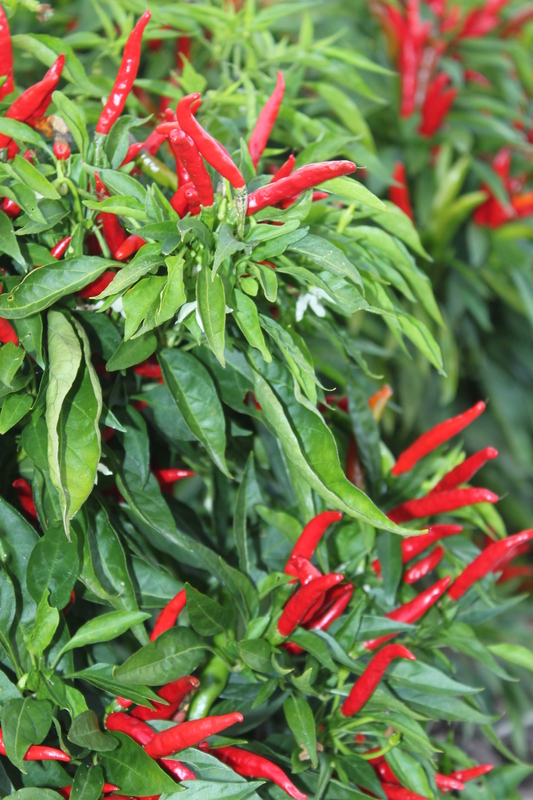 As early summer turns to mid and late summer – the peppers begin to change to a light red – before becoming a deep crimson red into the fall. 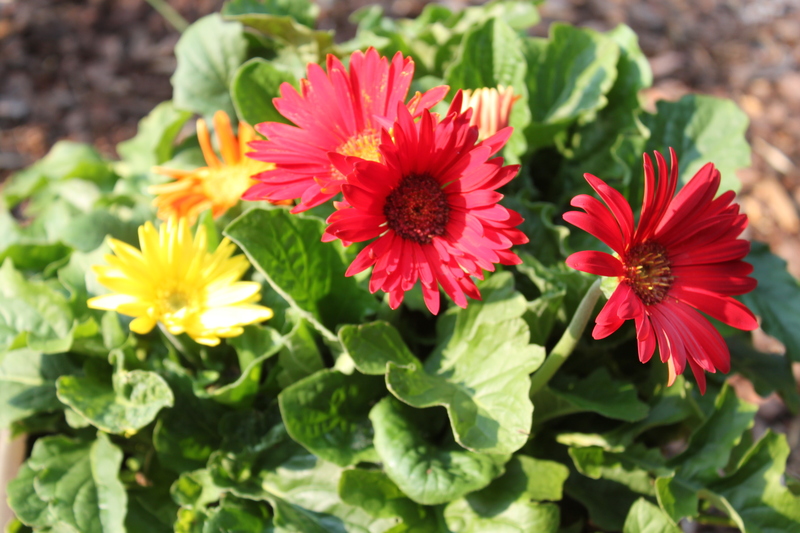 The best part – we have found the plants to be so much more durable than any of the standard hanging basket plants. They require far less water – and are a lot more forgiving if you do happen to miss on a few days of the watering chores! The best part, the seeds can be saved from year to year to grow again! In fact – we had so many ask about them over the last few years – we grew an extra 60 pots of them this year to sell locally or at a farmers market to help add to the cabin fund :). We will see how they go this year and who knows – maybe next year we will dedicate a whole section of the greenhouse to growing more. 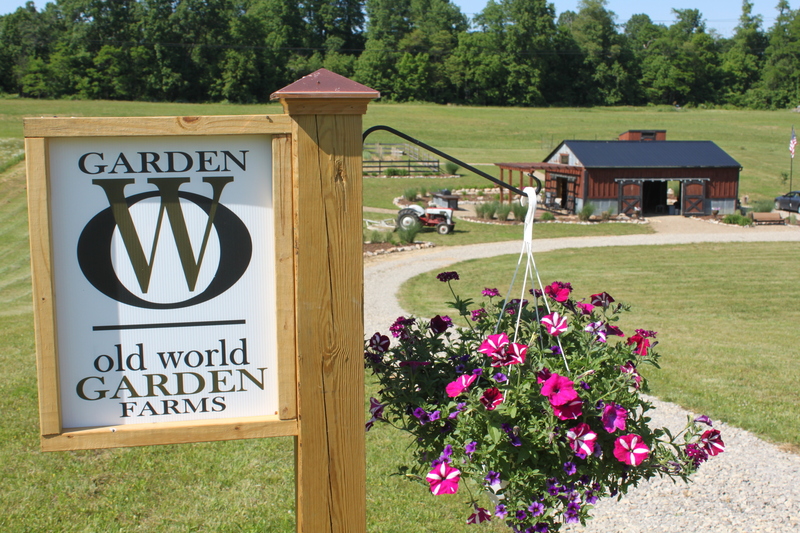 If nothing else – we will at least be able to continue having lots of color at the farm for free!